Recognized as one of the Financial Times Top 300 Financial Advisers 5 YEARS IN A ROW and honored by Howard County’s Readers’ Choice Awards “Best of Howard County” 4 YEARS IN A ROW! Today’s investment landscape in the greater Baltimore, Annapolis and Washington, D.C. area and even nationwide is more complex than it has ever been. Increasingly, it takes a team of dedicated financial experts to effectively manage your money. 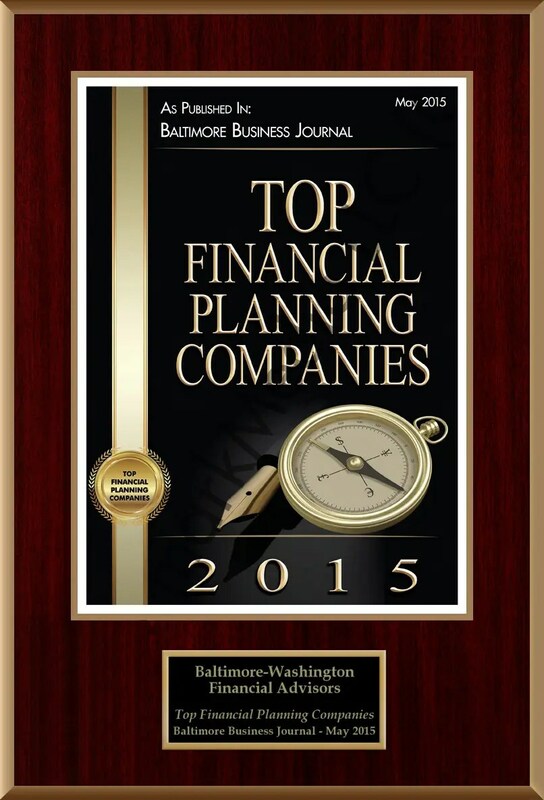 More and more people are realizing the value of working with a fee-only investment planning firm such as BWFA. 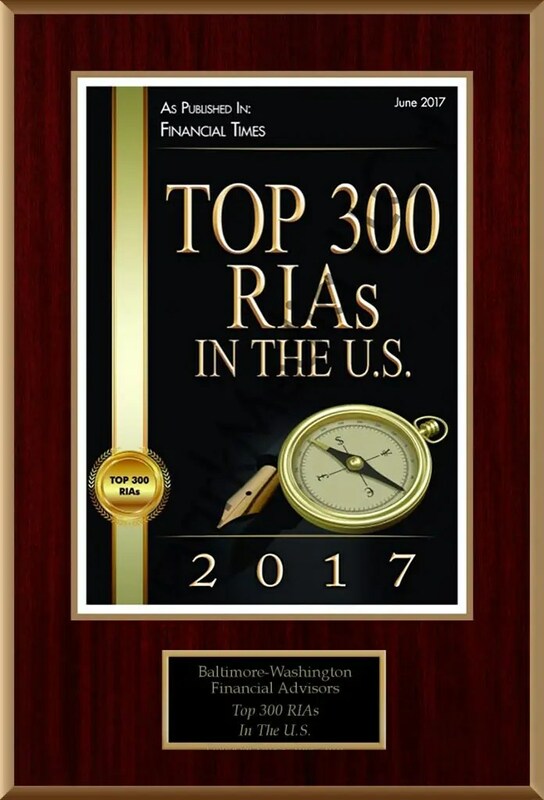 Recently, the Financial Times recognized 300 top RIAs*, based on criteria including: assets under management (AUM), AUM growth rate, years in existence, compliance record, industry certifications (such as CFP® and CFA), and online accessibility. 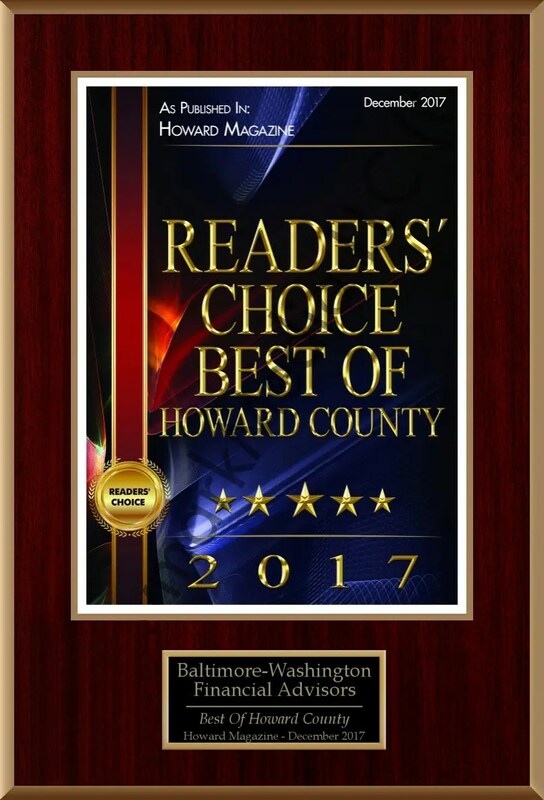 While it’s gratifying to be recognized, BWFA’s main objective continues to be serving our clients in Howard County and the surrounding region with undivided loyalty. We provide impartial advice and work exceptionally hard at helping our clients achieve their goals. As always, we are dedicated to serving our clients’ best interests for financial planning, tax services and retirement planning. 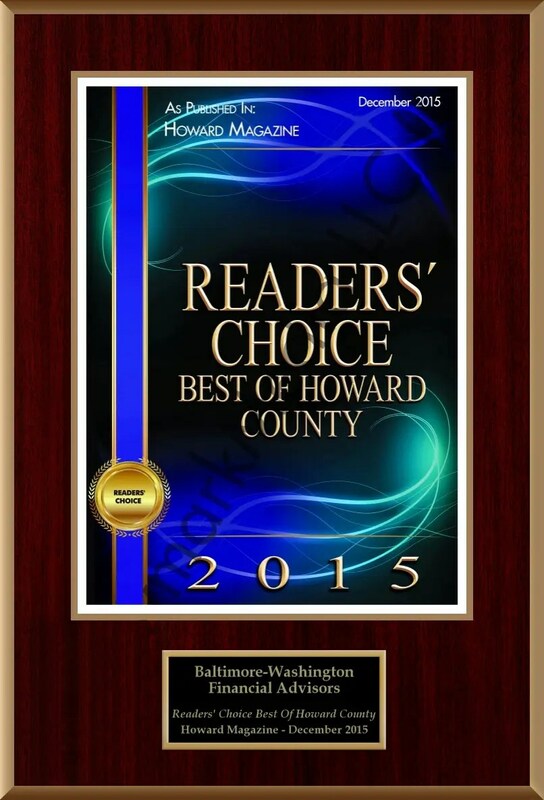 To learn more about our awards and dedication to our clients, contact us at 410-461-3900 or emailus@bwfa.com. *“RIA,” as used in the Financial Times article, is an abbreviation for Registered Investment Advisor and is not a designation. Registration as an investment adviser does not constitute an endorsement of the firm by securities regulators nor does it indicate that the adviser has attained a particular level of skill or ability. FT 300 Disclosure: The Financial Times Top 300 Registered Investment Advisors is an independent listing produced by the Financial Times (June, 2014, 2015, 2016, 2017, 2018). The FT 300 is based on data gathered from RIA firms, regulatory disclosures, and the FT’s research. 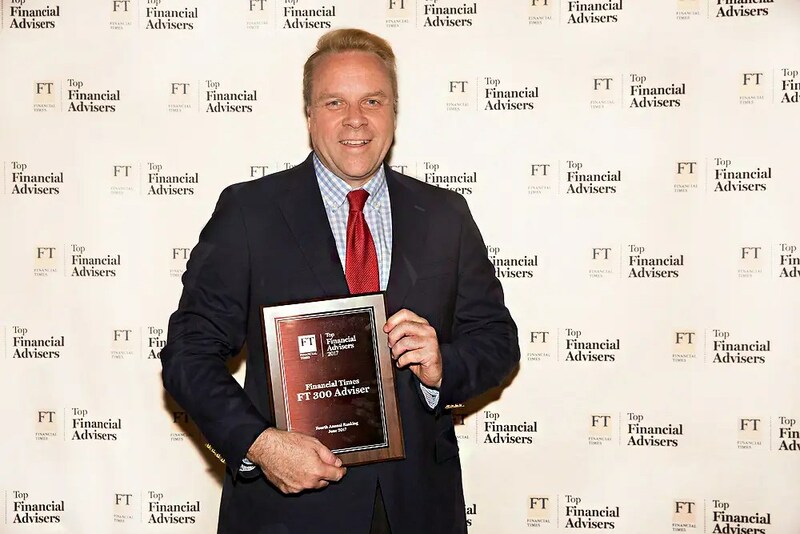 As identified by the FT, the listing reflected each practice’s performance in six primary areas, including assets under management, asset growth, compliance record, years in existence, credentials and accessibility. Neither the RIA firms nor their employees pay a fee to The Financial Times in exchange for inclusion in the FT 300. Third-party rankings from Financial Times and other publications are no guarantee of future investment success. Working with a highly ranked adviser does not ensure that a client or prospective client will experience a higher level of performance results. 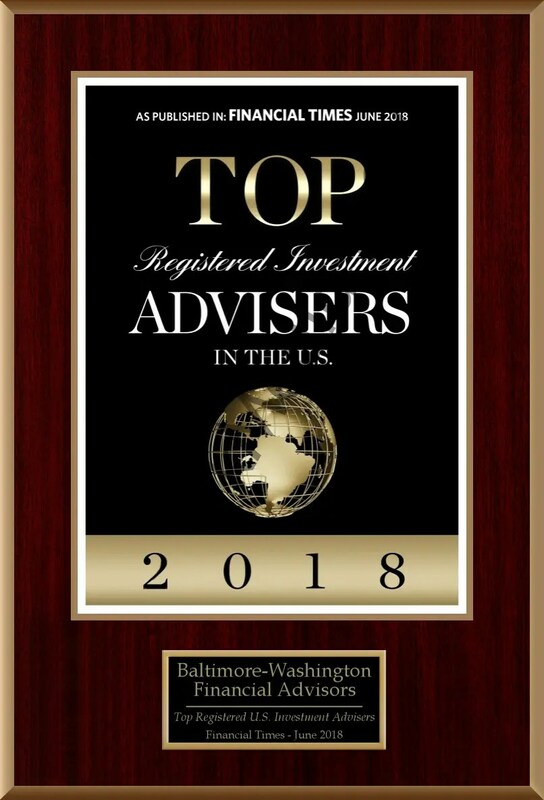 These rankings should not be construed as an endorsement of the adviser by any client.